Free shipping applies to liftchairs delivered anywhere in the lower 48 states. All liftchairs will be drop shipped directly to you from Pride Mobility Products or Golden Technologies. You will be notified by the trucking company 24 hours in advance of your liftchair delivery. Actual delivery times will vary depending on your location and which liftchair you selected. In-stock chairs can be delivered in a few days. We will advise you via e-mail as to what your expected ship date and delivery date will be. Your liftchair will be delivered by truck line directly to your home - 1st floor delivery, no steps. An elevator must be available for second story or higher deliveries. The driver will bring the chair to your door, but they will not take it out of the box due to liability reasons. Golden liftchairs include a service called "Inside Delivery" standard. This means your lift chair will be brought into your home when it's delivered. You are still responsible for unpacking the chair and installing the 9 volt batteries on the battery backup. "Inside Delivery" and "Inside Delivery and Setup" are available for an extra fee with Pride lift chairs. In either case, the trucker will place the lift chair inside your home. If you choose the setup as well, a field service technician will come to your home to set up your lift chair. However, they cannot move your lift chair up or down a set of stairs. 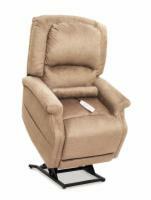 We offer "White Glove In-Home Setup" on Golden lift chairs. If you choose this service, the chair you order will be shipped directly to the installers. The installers will then arrange a date 7-12 days from when they take delivery of the chair to come to your home. They will deliver the lift chair inside your home, take the chair up or down one flight of stairs, place the chair in the room of your choice, install the backup batteries (you must provide two 9V batteries for this), and haul off the box it came in. Please note that removal of an old chair is not included. 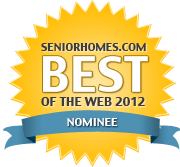 If you have senior parents and you are in a different state, this is the best delivery option available. Pride offers a similar "Platinum Delivery Service". Please call for details and pricing on this service if you are interested. If you have any questions concerning delivery procedures or if you require tracking information, call 1-800-285-2584 and one of our customer service representatives will be happy to assist you.